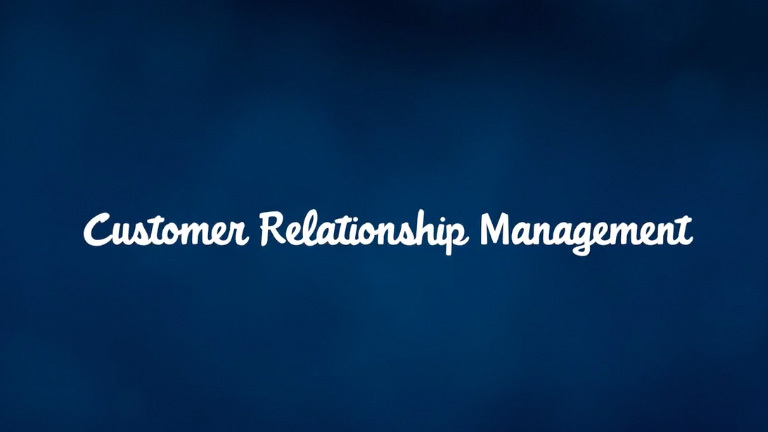 CRM stands for “customer relationship management,” pure and simple. And it’s come a long way since a phone call, a set of sticky notes, and a handshake. These days, a CRM system allows businesses to manage customer relationships from everywhere, including the data and information associated with them. With CRM, you can store customer and prospect contact information, accounts, leads, and sales opportunities in one central location. Deals go much faster when your employees can get instant information on potential sales deals, marketing campaigns, and account updates. CRM systems are especially helpful for small businesses, where a team of just a few people often does the work of many. The virtual paper trail of a CRM system holds everyone involved accountable, even the customer. No sticky notes, patchwork apps, spreadsheets needed. So you find more customers, win more deals, and keep customers happier as a team, from anywhere. But let’s go through all the different ways CRM helps you more specifically. See how CRM lets you manage contacts, share data, and do more across sales, service, marketing, and your whole business. A CRM solution allows you to organize your marketing campaigns and assets in one place. This makes it easy to run multiple campaigns simultaneously and segment your audience for maximum relevance. With one central hub for marketing campaigns and lead records, your marketing team will also have unprecedented visibility into how their campaigns are performing and driving revenue for the business. A CRM solution allows you to access and organize information about your prospects in great detail and at a massive scale. You will also have visibility into the most recent activities on an account, ensuring your communication with sales leads is always up to date and relevant. With so much information on each prospect and their position in the sales cycle, your sales team will also have a complete view of their sales funnel for the first time. This means a greater understanding of how to move leads to close, and a more accurate sales forecasting. If you're in customer service. A CRM solution allows you to provide 360-degree service to each customer. A CRM solution provides one cohesive view of the customer. Service agents will have access to complete case histories, detailed account information, and even the preferred method of communication. All this information makes it easier for your agents to provide tailored, personal service that will turn customers into advocates for your company. There’s lots more to learn about how the right CRM solution can help you grow your business. Create more meaningful and lasting customer relationships with the world’s #1 CRM for small biz. See how small businesses use Salesforce to sell, service, market, and connect everything to grow. What’s the secret to finding, winning, and keeping customers? Customer relationship management. Hear how these small business leaders overcome challenges to growth. Learn how better managing long-term accounts helps reps crush deals. Learn how customer service is a competitive advantage. See how great customer service builds trust to drive growth. To keep up with the market, everyone can build and customize apps, fast. Learn why the right CRM platform is critical to growing business. A repeatable sales process drives growth. See how Pendo does it. How one company makes sales-ready leads with marketing automation. Take an interactive guided tour. Learn how a sales manager and sales rep use Salesforce to manage their day.